A man who suffered a traumatic brain injury (TBI) following a one-punch attack has opened a community centre in Hull for others in the same position and their families. With the support of a consultant clinical neuropsychologist and the specialist rehabilitation service at Hull and East Yorkshire Hospitals Trust, Paul Spence now hopes to give support through motivational talks and sessions on coping strategies, nutrition and wellbeing. Paul Spence also works as an ambassador for Hudgell Solicitors, which specialises in medical negligence claims and specifically brain injury and rehabilitation, and suffered his own injury in 2012. He has worked mentoring some of the solicitors’ clients and wanted to extend this work into the broader community. 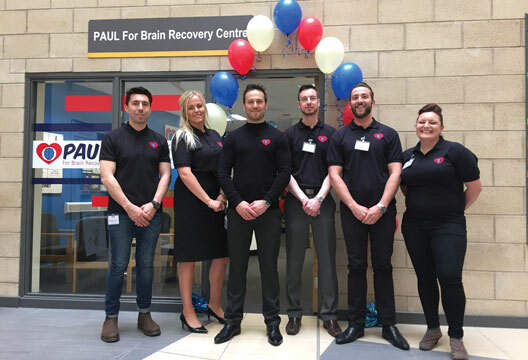 The PAUL (Positivity, Awareness, Understanding, Love) For Brain Recovery Centre was set up with the advice of Dr Selen Osman, who is a consultant clinical neuropsychologist working within the specialist rehabilitation service at Hull and East Yorkshire Hospitals Trust. She spoke to The Psychologist about the importance of support for patients with acquired brain injuries.